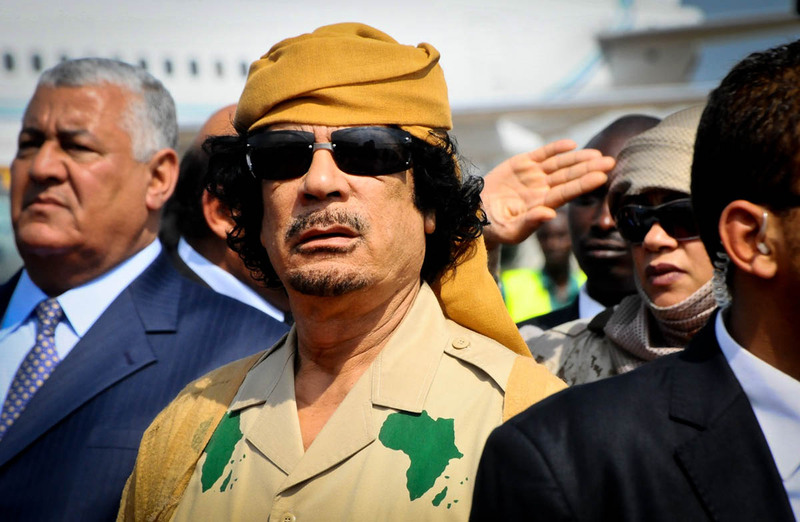 Its now confirmed, Muammar Gaddafi, Africa’s longest serving head of state is dead. Below are images of his last visit to Uganda. He was here to attend the AU Summit on August 24, 2010. 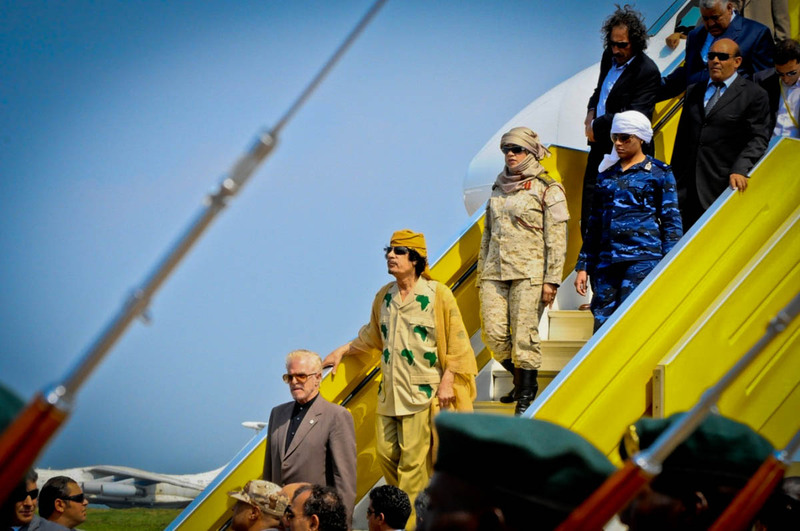 Muammar Gaddafi arrives at the Entebbe International Airport for the 2010 AU Summit in Kampala. It happened to be his last visit to Uganda after being killed by Libyan forces with support from NATO. "We announce to the world that Gaddafi has been killed at the hands of the revolution," National Transitional Council (NTC) spokesman Abdel Hafez Ghoga said on Thursday in the eastern city of Benghazi. 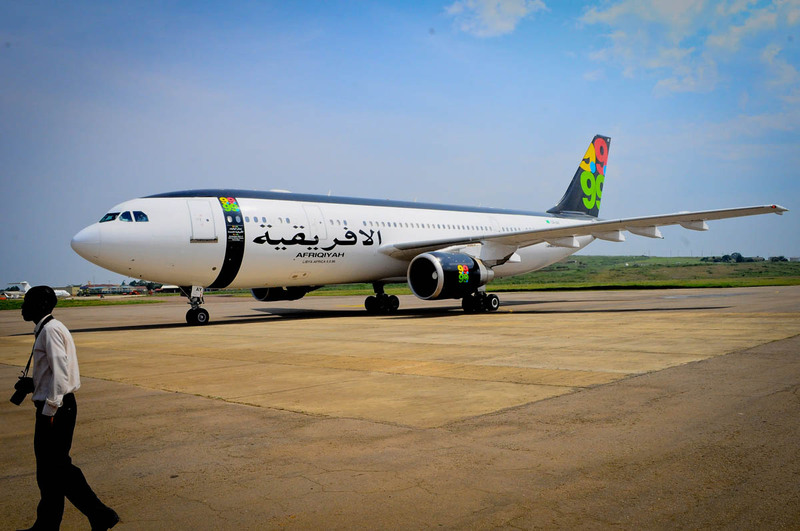 Muammar Gaddafi arrives at the Entebbe International Airport for the 2010 AU Summit in Kampala on August 24, 2010. It happened to be his last visit to Uganda after being killed by Libyan forces with support from NATO. "We announce to the world that Gaddafi has been killed at the hands of the revolution," National Transitional Council (NTC) spokesman Abdel Hafez Ghoga said on Thursday in the eastern city of Benghazi. 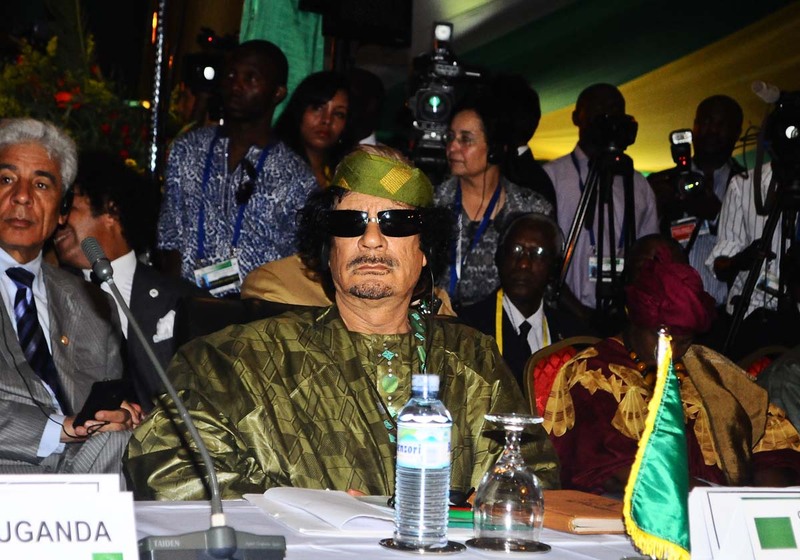 Muammar Gaddafi arrives at the Entebbe International Airport for the 2010 AU Summit in Kampala on August 25, 2010. It happened to be his last visit to Uganda after being killed by Libyan forces with support from NATO. "We announce to the world that Gaddafi has been killed at the hands of the revolution," National Transitional Council (NTC) spokesman Abdel Hafez Ghoga said on Thursday in the eastern city of Benghazi. 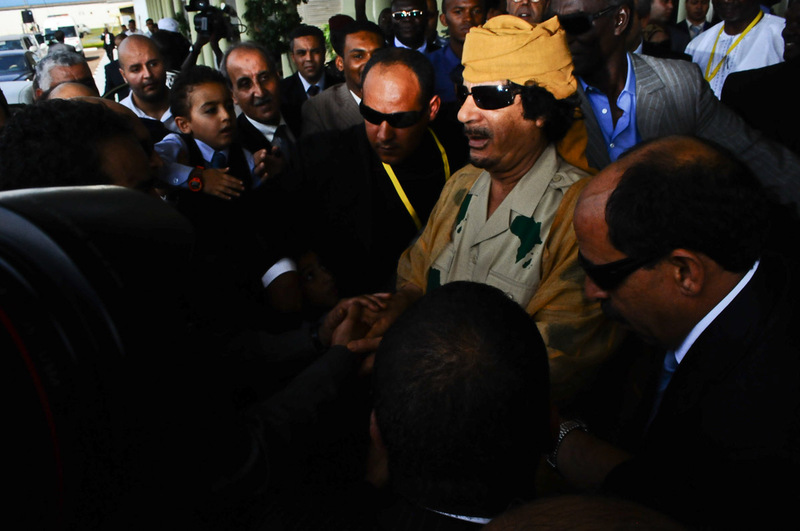 Muammar Gaddafi always attracted a huge media following wherever he went. 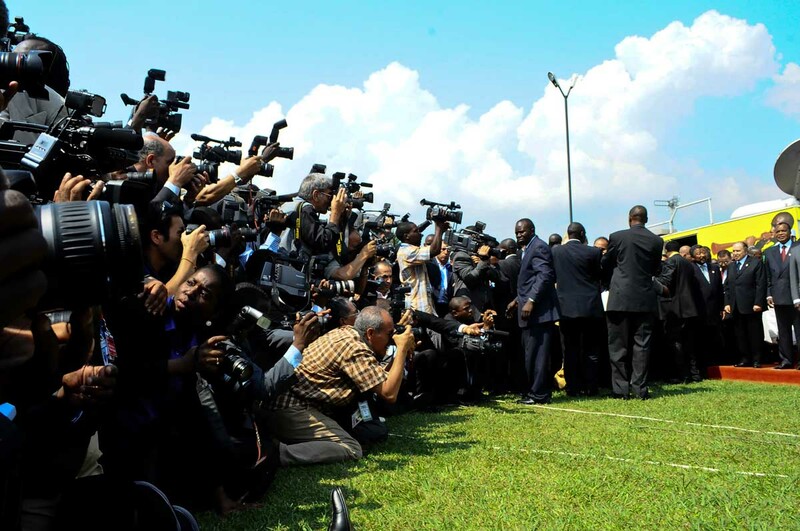 Here, photographers/Video journalists struggle to capture a group picture of the African heads of states, Gaddafi inclusive after the opening ceremony of the 2010 AU Summit at the Munyonyo Commonwealth Resort Hotel on August 25, 2010. It happened to be Gaddafi’s last visit to Uganda after being killed by Libyan forces with support from NATO. "We announce to the world that Gaddafi has been killed at the hands of the revolution," National Transitional Council (NTC) spokesman Abdel Hafez Ghoga said on Thursday in the eastern city of Benghazi. 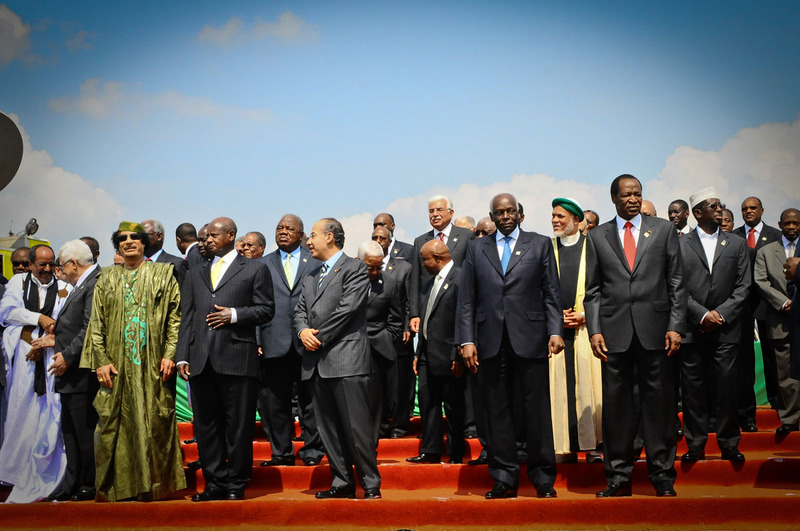 Muammar Gaddafi (3rd from left in green ) stands for a group picture after the opening ceremony of the 2010 AU Summit at the Munyonyo Commonwealth Resort Hotel on August 25, 2010. It happened to be Gaddafi’s last visit to Uganda after being killed by Libyan forces with support from NATO. "We announce to the world that Gaddafi has been killed at the hands of the revolution," National Transitional Council (NTC) spokesman Abdel Hafez Ghoga said on Thursday in the eastern city of Benghazi. Thanks for sharing. However, I feel so Bad that he dead that way on GLOBAL DIGNITY DAY . Atleast he should have Been captured as a prisoner of war. No matter How Bad he was. Gosh!! I didn’t want him dead. I feel for Libya, now they’ve joined a whole host of other foreign-controlled African countries. I guess Libya knows what’s good for Libya. Wow. The memories. Great photography. Libyans now that you have killed gaddafi is there anything you can do further?you have done ur worst.MAY D GENTLE SOUL OF SHAHEED GADDAFI REST IN PERFECT PEACE&MAY HE BE AMONG D 1st ROW OF PEOPLE CLOSE TO PROPHET MUHAAMMAD S.A.W……. And may his death serve as a quick reminder 2 all of us abt d temporary nature of lyf. Even God was so kind to King Solomon, but what the Libyans have done to their own through the influence of the babarians (US, France, UK etc) is a bad omen to Libya. There will never be peace in Libya for the next half a century.